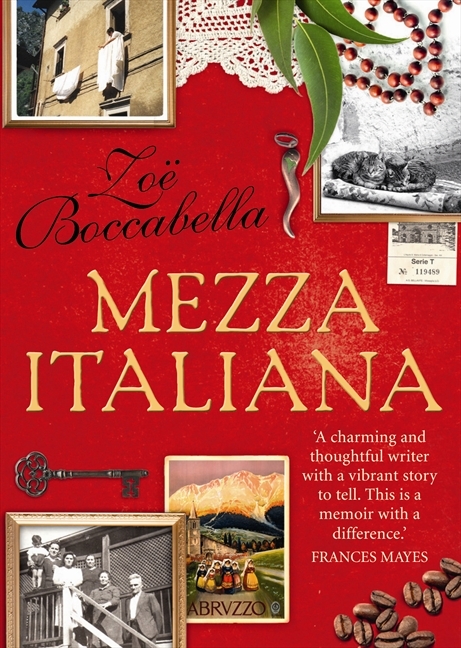 Congratulations on the release of your wonderful new book Mezza Italiana. You’ve been writing a long time. When we met about eight years ago you were writing a novel set in Italy. How is it that your first book is memoir? 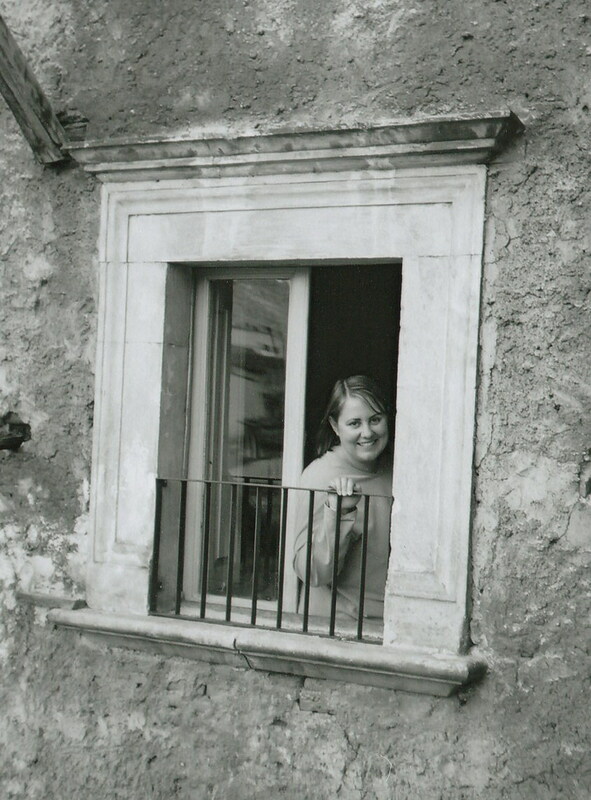 Returning to the village in Italy where my family came from and staying in the house that had belonged to my ancestors for centuries had a profound effect on me. I was there working on the novel you mentioned but then I found myself writing down family folklore, village stories and my experiences growing up, how I felt ‘half and half’ as an Italian-Australian, not feeling like I fully belonged to either culture. I never expected to write memoir. It was as though it was almost willing itself to be written, demanding my attention, and it was not until it was finished that I was able to return to writing the novel. What were the main differences you encountered between writing fiction and memoir? Do you prefer one over the other? Why/Why not? I’m not sure I prefer one over the other as they’re each rewarding in their own ways. For me, novel writing affords the freedom that your imagination can take the story and characters anywhere while memoir carries with it a heightened responsibility to be open and honest while being sensitive and respectful to those you are writing about. However, this can blur depending on the type of novel or memoir you are writing, for example if it was a novel based on true happenings. This book is obviously very close to your heart. To me it read like a love letter to your grandparents and the village of Fossa. Was writing it an emotional experience? It was particularly emotional in that by the time I finished writing it my grandparents were no longer alive and the village had been devastated by the earthquake. I am blessed to have the legacy of their stories and felt driven to preserve these as they represented not just a time in history for my own family but for many others too. Nothing can fully prepare you for entering an earthquake zone not long after it has happened and I still get emotional when I think back to it. How long did it take to write? Did you have to do many drafts? The first (very rough!) draft poured out in longhand in three weeks at the kitchen table in Italy but I then took another three years constantly honing it and adding in research and other stories. During this time the earthquake happened and it became important to include this too. I didn’t keep track of how many drafts I did in the end but I did go over and over it many times from start to finish. It felt like a long process that wouldn’t be hurried. Was it easy to find a publisher? Can you tell us a little bit about your path to publication? Katherine Howell, whom I’d become friends with at uni, asked if she could show some of my chapters to her agent, Selwa Anthony. Not long after, I was stunned to get a phone call from Selwa late one Sunday afternoon, and a little further down the track a publishing contract followed. I was very fortunate and remain grateful to both Katherine and Selwa for believing in my writing. By then I was in my late thirties and had been writing since childhood so it took a little while to sink in that the dream I’d had since I was seven was actually coming true. I had a few rejections over the years and looking back I can understand why as I’d gotten impatient and sent my work in before it was ready. When I was young I naively submitted a first draft! Once you’d found a publisher the editing process began. How did you find this experience? My editor, Mary Rennie from HarperCollins, was insightful and sensitive and from the beginning I was very open to her suggestions and to learn from her expertise. During the editing process I discovered it is a delicate balance of following your instincts as to when to change things and not change things. The process was very positive as I knew we were both working towards making the book the best it could be. Have you had to do much for marketing and publicity? What sort of things have you had to do? Did you find this part of the job a challenge or something that came naturally? Writing is such a solitary process and then the book is published and suddenly there’s the launch, publicity and many different people to meet. I felt shy and self-conscious when it came to interviews and public speaking and strove to overcome this as best I could. I especially did not feel at all comfortable in the ‘photo shoot’ situation and am much happier to be at my desk writing! However, the most wonderful part I had not anticipated was meeting many different readers who identify with the book. People continue contacting me saying it is their story too as they also feel ‘half and half’ due to their migrant heritage. And not just people of Italian descent but Chinese, Greek, Ukraine, Scottish, French Dominican… Connecting with readers has been for me the best part of Mezza being published and makes all the sacrifice and hard work worthwhile. Finally, what advice would you give someone starting out as a writer? Write for the love of writing, not with getting published in mind. Follow your instincts and write what feels natural to you. Write from your whole self – your sense of humour, observations, vulnerabilities, imagination, life experiences. Write first – worry about publishers, agents, who will read it, and everything else later. And keep going, even when it feels impossible, keep writing. Thanks so much Zoe and best of luck with the continuing success of Mezza Italiana. I’m looking forward to reading your novel too. Congratulations all over again Zoe! THANKS Katherine. You’re up next. Yes, these interviews are full of really useful advice for writers! Thansk Helean. I get a lot out of them too. Ran across this in a bookstore. I also have some roots in Italy. Complimenti! My pleasure Zoe. Thansk for visiting. I hope you’ll be able to make it to my launch on Friday 9th March at Avid Reader. Would be great to see you and have a chat. Was in Avid Reader just recently – fantastic bookshop! – you’ll have a ball at the launch. Will be great.